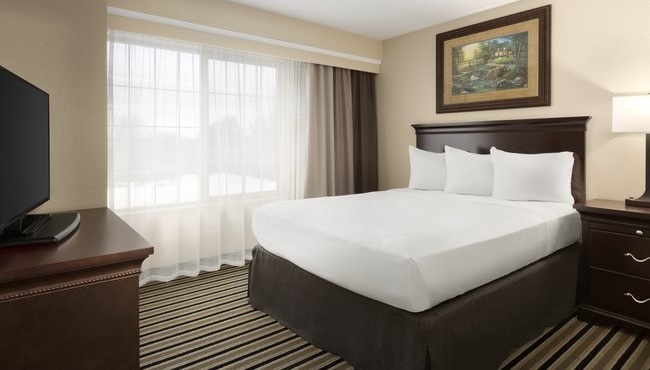 After a day of meetings or sightseeing, slip between the sheets of a plush bed in your room at the Country Inn & Suites hotel in Little Falls, MN. When you wake up, get your caffeine fix with the in-room coffeemaker and then head down to the dining room for a free, hot breakfast. 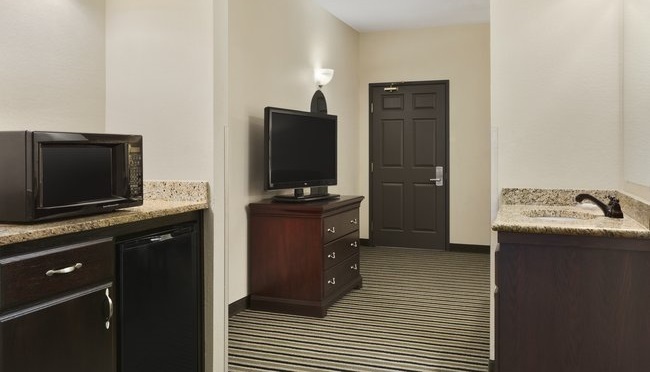 You can return to your room to catch up on current events with cable TV, free Wi-Fi or a free weekday USA TODAY® newspaper. 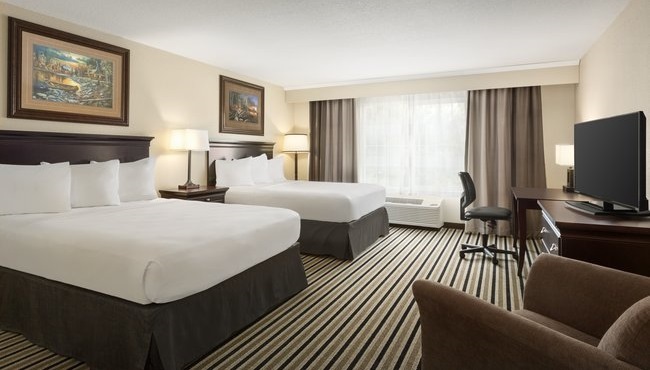 If you’re in town with your four-legged friend, don’t worry; we offer pet-friendly rooms and suites that allow you to travel without leaving anybody behind. 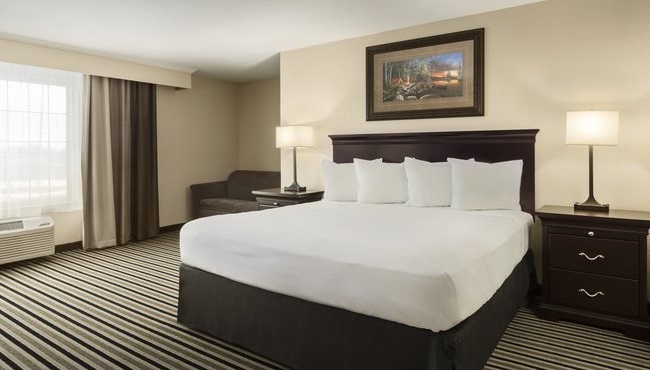 Choose between one king and two queen beds in our comfortable Standard Room, which is also equipped with all of our standard amenities. 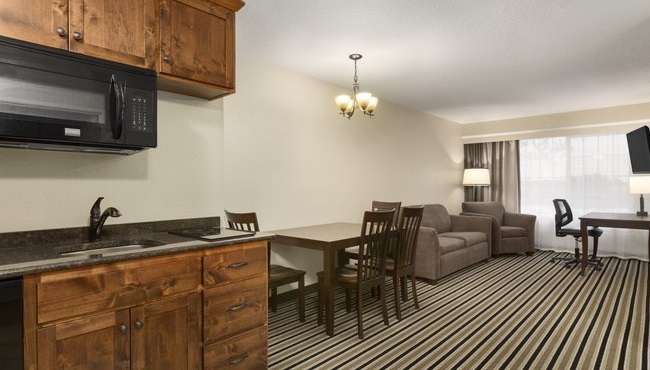 Curl up in the plush king bed and watch cable TV in one of our One-bedroom Suites. This option also provides a sleeper sofa so you can easily accommodate children or other travel companions. Celebrating a special occasion in Little Falls? Reserve a romantic Whirlpool Suite to enjoy a two-person whirlpool tub and a cozy king-size bed. 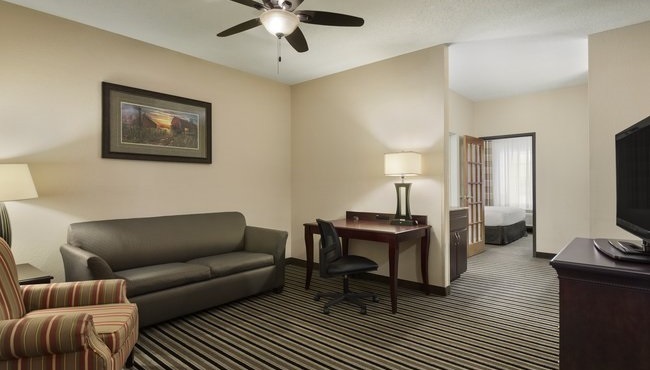 Perfect for families, this spacious suite option offers two bedrooms with a king bed apiece, plus a separate living room with a sleeper sofa, a chair, a work desk and an additional television. 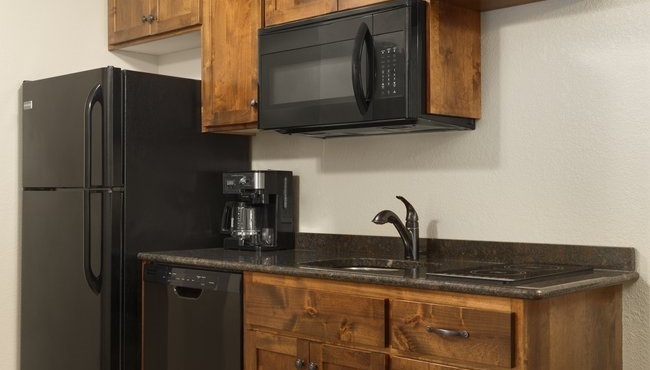 These suites come with one king or two queen beds and offer a full kitchen, including a full-size refrigerator/freezer, cooktop stove, dishwasher, table and separate living room.